Early in 2002, the Province established five Smart Growth panels to provide advice to the Minister of Municipal Affairs. The Central Ontario panel represents a region extending from Niagara to Northumberland, north to Haliburton and Georgian Bay. This region, which is shown on Figure 1, currently has a population of 7.5 million and 3.7 million workers and is expected to grow by approximately 3 million people over the next 30 years with a related increase of 2 million jobs. In this paper, the region is divided into the "outer ring" and the "core" area. The outer ring refers to Brant, Haldimand-Norfolk, Hamilton, Niagara, Dufferin, Simcoe, Waterloo, Wellington, Haliburton, Kawartha Lakes, Northumberland, and Peterborough. The GTA or "core" area consists of the City of Toronto and the Regions of Durham, York, Peel, and Halton. For reasons of confidentiality, agricultural statistics for the City of Toronto are included in the figures for York Region. 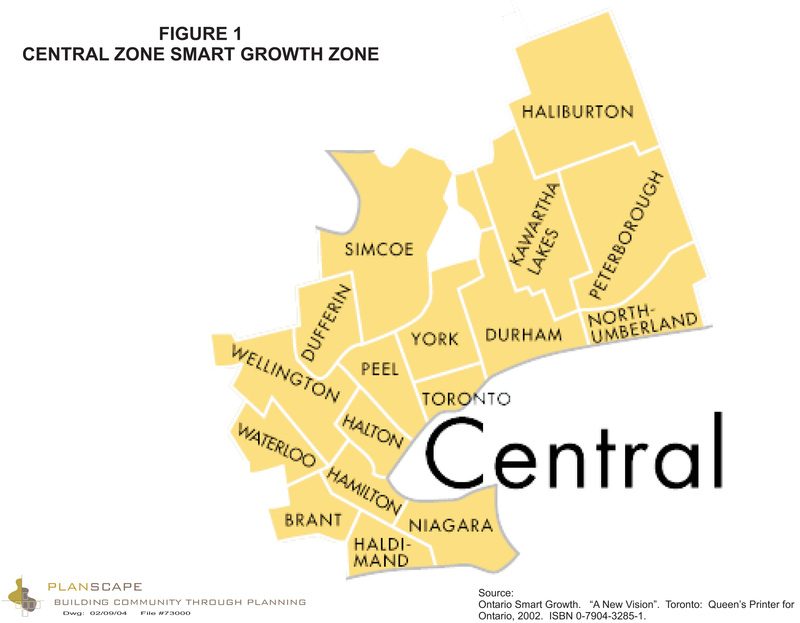 Haliburton is part of the zone, but because only 1.3% of its land area is farmed, it is excluded from some of the analysis. Where it has been excluded, the exclusion is noted.